ola riders! Estamos começando os reviews do mais novo set especial chamado Duelist Pack: Legend Duelist 4! estamos analisando nessa semana os novos suportes pra deck Trains!!! LETS GO! raça de earth machines de alto level (8 ou maior) com suporte pra xyz mechanics. recentemente recebeu seu primeiro link monstro. 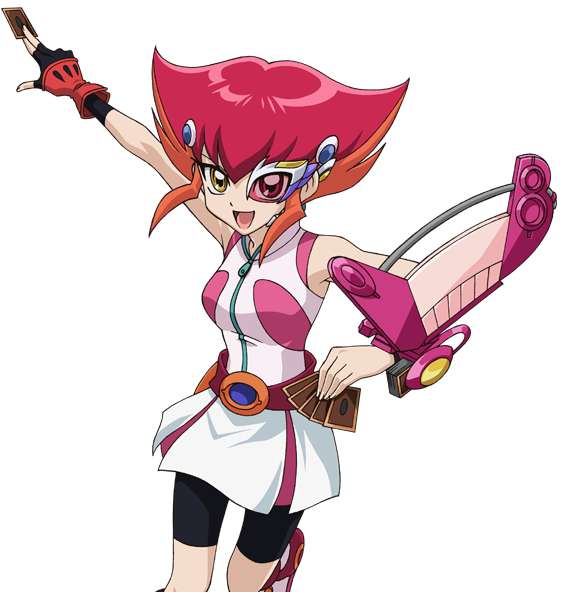 O arquetipo pertence ao personagem ANA KABOOM da serie YUGIOH ZEXAL. 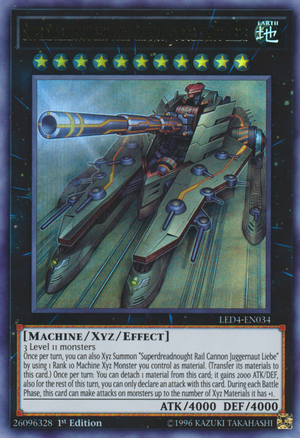 Once per turn, you can Xyz Summon “Superdreadnought Rail Cannon Juggernaut Libe” by using 1 Rank 10 Machine Xyz Monster you control as Xyz Material (transfer its materials to this card). (1) Once per turn: You can detach 1 Xyz Material from this card; this card gains 2000 ATK/DEF, also you cannot attack for the rest of this turn, except with this card. (2) This card can make a number of attacks on monsters during each Battle Phase equal to the number of its materials +1. comentários: R11 boss monstro! felizmente aceita R10 monstro como overlay unit pra um chaos xyz summon. tem boost de ataque e multi-attack. NICE! 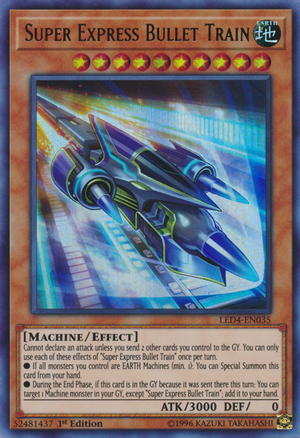 DP21-JP035 "Speedy Express Bullet Liner"
You can only use this card name’s (1) and (3) effects once per turn each. (1) If the only monsters you control (min 1) are EARTH Machine monsters: You can Special Summon this card from your hand. (2) To declare an attack with this card, you must send 2 other cards you control to the GY. (3) Once per turn, during the End Phase, if this card is in the GY and was sent there during this turn: You can target 1 Machine monster in your GY, except “Speedy Express Bullet Liner”; add it to your hand. 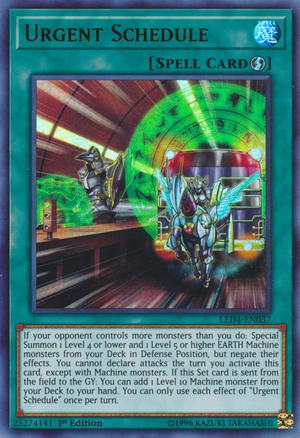 DP21-JP036 "Runaway Railcar Flying Pegasus"
You can only use this card name’s (1) and (2) effects once per turn each. 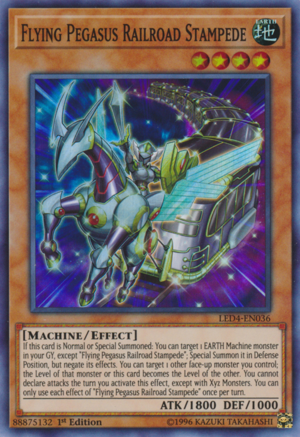 (1) If this card is Normal/Special Summoned: You can target 1 EARTH Machine monster in your GY, except “Runaway Railcar Flying Pegasus”; Special Summon it in Defense Position, but its effects are negated. (2) You can target 1 other face-up monster you control; the Level of either that monster or this card becomes the current Level of the other. You cannot attack with monsters during the turn you activate this effect, except with Xyz Monsters. You can only use this card name’s (1) and (2) effects once per turn each. 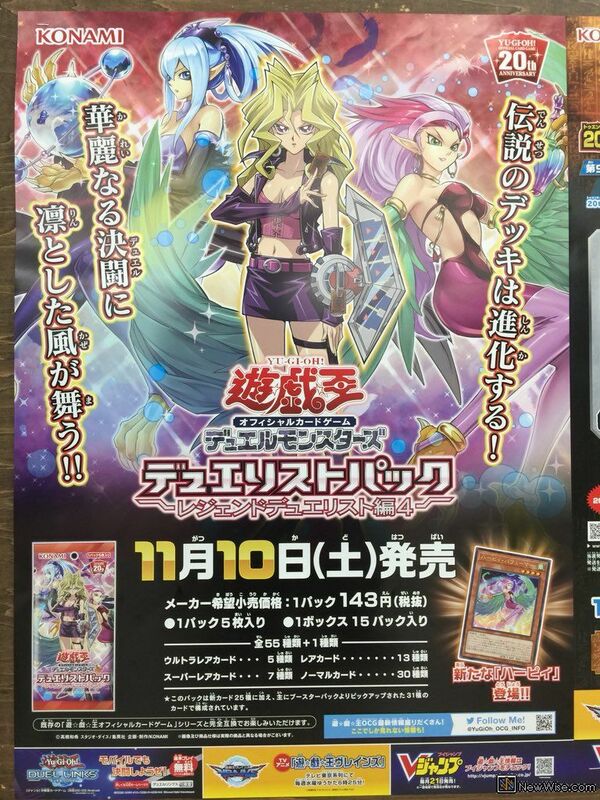 (1) If your opponent controls more monsters than you do: Special Summon from your Deck 2 EARTH Machine monsters, 1 Level 4 or lower and 1 Level 5 or higher, in Defense Position, but their effects are negated. You cannot attack with monsters during the turn you activate this card, except with Machine monsters. 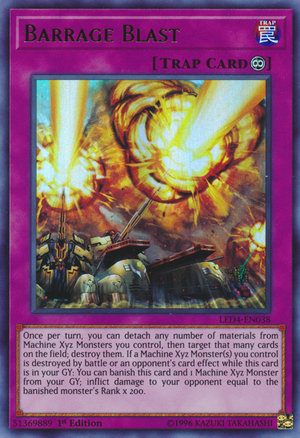 Once per turn, you can detach any number of materials from Machine Xyz Monsters you control, then target that many cards on the field; destroy them. If a Machine Xyz Monster(s) you control is destroyed by battle or an opponent's card effect while this card is in your GY: You can banish this card and 1 Machine Xyz Monster from your GY; inflict damage to your opponent equal to the banished monster's Rank x 200.
comentários: essa carta causa remoçao mas requer overlay units como custo. tem grave efeito de burn . carta interessante! Easiest OTK deck - Rank 10 TRAINS! Choo Choo! !